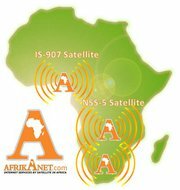 Afrikanet Oxford Consultech Ltd provides fast, affordable and reliable broadband internet solutions across Africa. We offer a diverse range of products and support a large scale of projects, these include: ISPs, Hospitals, Universities, NGOs, Financial Institutions, Government agencies, Oil and Gas companies, SME & Corporate offices and remote accommodation compounds, etc. We deeply believe in what we do, in the strength of close relationships with our customers and we like to think that when working in partnership with our clients, nothing is impossible. Our main goal in business is to contribute to the economic, technological and social uplift of Africa, and our way of achieving this, is by providing internet to this rapidly growing continent. Here at Afrikanet we know the importance of our customers and partners, as a result, we value your opinion, so if you have any thoughts you would like to share with us, please feel free to comment on this blog. La FORCE D’AFRIKANET ne réside pas seulement dans son Savoir faire (son expertise) mais aussi et surtout dans sa Ressource Humaine qui est un réservoir de talents… Des personnes qui mettent leurs coeurs dans vos projets, qui leurs donnent VIE.